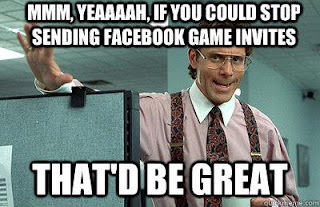 Home Facebook Block Facebook Game Requests Or Invites. Block Facebook Game Requests Or Invites. Hey Friends wassup....!! Today I'm here to tell you how to disable or block Facebook game requests or invites. You just have to follow bellow given steps one by one to block Facebook game Invites. As we all know that Facebook is the largest social media site in this world. There are approximately 800 million active users all around the world. People use Facebook to chat with new people or their known ones freely. As we know that people also have their apps on Facebook like games etc. There are so many games are popular on Facebook like Candy Crush Saga etc. Candy crush saga have more then 10 million users on Facebook. So they all want to spread the games which they like with their frends and then they send game requests or game invites to us means to their friends. Aahh its really making me bore lol. You may also like " How to Remotely shutdown your pc with phone". So lets directly come to the point how to block Facebook game Invites or requests..
We have two methods to block Facebook game request or invites. So use any one which you like. Step 1 :- First of all login your Facebook account on your pc. Step 2 :- Then find 'Game' option in you left menu bar and click on it or you can directly click on this 'Game App Center'. Step 3 :- Now you just have to click on 'Activity' tap and then click on 'Invites'. Step 4 :- Now you will see a list of all your game request or Invites. You may also like "How to Disable facebook Seen message in chat". Step 5 :- You'll see two options next to that game name one looks like this 'X' cross sign and another is 'Ignore All'. 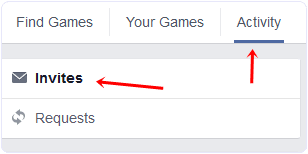 You can click on any button, then you'll have to confirm that you want to block Facebook game request. You may also like "How to get unlimited Facebook Friend requests in one day". Step 1 :- First of all click on settings icon on top right corner of your Facebook home page. Step 2 :- Now tap on 'Settings'. Step 3 :- Now a new window will open in front of you, just click on 'Blocking' option from left side menu. 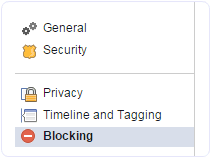 Step 4 :- Now you have many options to block facebook game requests. I'll discuss all one by one..
You may also like "How to convert Facebook profile into Facebook page". 1) If lots of your facebook friends are sending you a same game requests then you can block that perticular game on your account and then you successfully block facebook game Invites. Simply just type that game or app name which you wanna block. 2) If some of your facebook friends are sending you lots of game invites then you can block some perticular friends game or app invites which means that perticular friend or friends will not be able to send any kind of game invites or any app requests then you can successfully block facebook game requests. Simple just type that friends facebook profile name and thats all. You may also like "How to get unlimited Facebook likes in just five minutes". So now you have successfully learned how to block Facebook game Invites.